Join local authors for the monthly Words and Wine Event 6 p.m. Tuesday, April 2, 2019, hosted by Kona Stories Book Shop. This event is free to the public and offers a chance for you to meet and greet some of Hawaii’s favorite authors and artists while you enjoy complimentary pupu and wine. April’s featured authors are Gary L. Ivey, Leslie Karst, and Mike Taylor. Gary L. Ivey was born and raised in Oklahoma and was educated in Oklahoma, Arkansas and Texas and worked in Texas, Mississippi, Alabama and Georgia. In December, 2015 he and his wife of 44 years moved to Kailua Kona, Hawaii, to be near children and grandchildren. In 1975, Ivey earned degrees in Theology and Broadcast Communication from Southwestern Adventist University in Keene, Texas. He has worked as a pastor, a magazine editor and media communication specialist, a TV Ministry director and has had his own video production business. Currently he works with his wife in OmegaNet Inc., the web development business, which they started 21 years ago. When he isn’t working on web sites or writing, he enjoys listening to, writing and playing music in a variety of styles and has been known to put brush to canvas, something he hopes to do again. 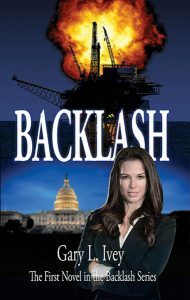 Ivey began writing BACKLASH in 2000 and published the first edition in 2011. The second edition was released in 2017, followed in 2018 by the release of BACKLASH 2: JUSTICE DENIED. Ivey also recently finished a biblical novel called THINE IS THE KINGDOM about the reign of King Saul and the rise of King David. The daughter of a law professor and a potter, Leslie Karst learned at a young age, during family dinner conversations, the value of both careful analysis and the arts—ideal ingredients for a mystery story. 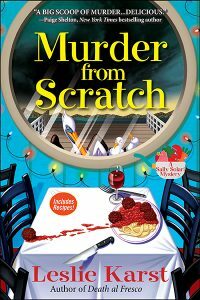 Putting this early education to good use, she now writes the Sally Solari Mysteries (Dying for a Taste, A Measure of Murder, Death al Fresco, Murder from Scratch), a culinary series set in Santa Cruz, California. Originally from Southern California, Leslie moved north to attend UC Santa Cruz (home of the Fighting Banana Slugs) and, after graduation, parlayed her degree in English literature into employment waiting tables and singing in a new wave rock and roll band. Exciting though this life was, she eventually decided she was ready for a “real” job, and ended up at Stanford Law School. For the next twenty years Leslie worked as the research and appellate attorney for Santa Cruz’s largest civil law firm. During this time, she rediscovered a passion for food and cooking, and so once more returned to school to earn a degree in culinary arts. Now retired from the law, she spends her time cooking, gardening, cycling, singing alto in her local community chorus, reading, and of course writing. Leslie and her wife and their Jack Russell mix split their time between Santa Cruz and Hilo, Hawai‘i. Leslie’s last book, Death al Fresco was recently nominated for the prestigious Lefty Award for Best Humorous Mystery of 2018. Mike Taylor left his life in the wilderness of Montana to live on the Big Island of Hawai‘i. At the Aloha Theatre and Café, Mike was the esteemed Technical Director and racked up an impressive number of productions in his eleven years. He met and fell in love with his wife, Marion, who baked the world’s best cookies and bread and everything else. Whether it was writing, acting, directing or teaching children, Mike was passionate about the benefits of theater. Although most of Mike’s work deals with the American West before the turn of the century, where life was often harsh he’s still able to find some humor which runs like a pleasant breeze through all his stories. Eventually, he and Marion built a house in the southern district of Ka‘u, where Mike enjoys writing until all hours of the night and Marion for years created wonders at her café, The Desert Rose. They are both still in love, semi-retired and working at home. Mike has completed his first three novels; A Thousand Sleeps, Plentiful and Malama Ko Aloha (Keep The Love), the passionate, loving, often brutal story of Hawai’i Island after the death of Kamehameha the Great and the coming of the missionaries. He is presently working on his fourth novel, Double Cross, set in Montana Territory in the 1890’s. This event starts at 6 p.m. with an informal meet and greet merging into a more formal book presentation from each author and concluding around 8 p.m. after a Q&A session. Dress is casual aloha wear. Kona Stories is located in the Keauhou Shopping Center, for more information call Brenda or Joy at (808) 324-0350.